You spent time learning about and researching your new vacuum. You spend your hard earned dollars on a quality machine to keep your home clean and looking new. Over time, you wear the motor in your vacuum out and it can cost a bit to replace it. 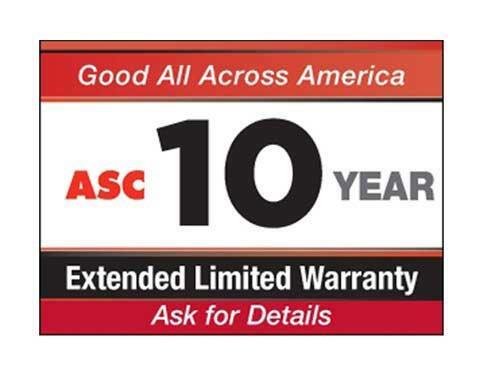 Protect your new investment with the eVacuumStore.com 10 Year Extended Warranty. In addition to the manufacturer’s warranty, we provide you with coverage on your motor for up to ten years so in case anything goes wrong, as unlikely as it is, you’ll be covered and not need to spend one hundred dollars or more. Combine your new vacuum purchase the with Associated Service Corporation motor warranty and save big down the line and bring yourself peace of mind knowing you don’t need to worry about hunting down a replacement motor. eVacuumStore.com has you covered. There's nothing like knowing that I can have the most expensive part of my vacuum protected for up to 10 years. Well worth the money.